The Istanbul Greek who died for Turkey. The regimental doctor Captain Dimitroyati. This doctor was originally one of the Istanbul Greeks in the 57th Regiment. (Remember that nobody lived from this Regiment). He said "Please do not send me to a different cemetery because I'm non-Muslim. I want to be side by side with you, because I will die for this country". "Do not! Sergent Ali, you would tell that I'm non-muslim, you would burry me to a different place. Do not seperate me from you!". Before leaving for the battle, Sergent Ali had the attending soldier promise to pass Cpt. Dimitroyati's last words to the higher officers. Today Captain Dimitroyati's name lies side by side with his comrades at 57th Regiment Memorial. 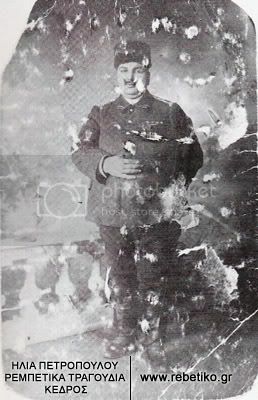 Caption: "Tomboulis, wearing a Turkish Army officer's uniform (Istanbul, 1917)"
Would anyone have any biographical details of this gentlemen, especially his wartime experiences (if any). Last edited by Mr Holmes on 17 May 2007 08:11, edited 1 time in total. I guess he saw some action if the ribbons he had on the uniform were genuine. I counted four ribbons that means a very highly decorated reserve officer! Tombul means in Turkish "fatty" someone with extra kilos. Bul-Bul or or in Turkish spelling Bülbül/Bu"lbu"l (u with umlaut) means nightingale. late Tombulis had a beautiful voice. We call someone with beautiful voice "Nightingale." For Capt. Dimitroyati :In the English translation the translater wrote with very kindness non-moslem. But his original words was as it is written on the text of the image "gavur-mavur"
He said to his sargenant "dont grave me in a remoute place because I am a non-beliver-meliver. There was a great understanding between Turks and Rum of Anatolia until May 15th 1919. The mainland Greeks supported by the British disturbed that understanding. They were never happy in their new home at mainland Greece. 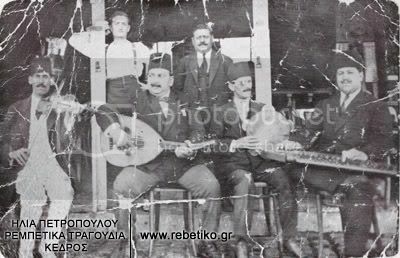 They burned sad songs called Rembetiko. Some ten years ago a bomb exploded under the car of my old friend Prof. Dr. Y.Y. The was a Jew. We grew up on the same street. Luckily he was saved with less wounds. In his hospital bed he gave interwiev to the journalists with his madal of Independance on his pijamas proudly. One of the journalist asked him whre did he got that madal of Independance? the only medal of Turkish Republic. He answered from my grandfather Lt.Col.Dr. M.Y. Md. and continued. He fought the Balkan War, WW! and joined the National Forces of Mustafa Kemal in 1920. He go on " They wanted to kill me a leader of only 20 Jews living in Ankara. They dont know that I am a section leader at the university leading 100 akademiker. and they dont know that I am a inherit of madal of Independance"
May Those who secrified their lives for the honour of this country rest in light. It was very late last night when I wrote that, and I made a typographical error. I deleted the erroneous "at" but forgot to insert "during WW1". I've made the change, thanks for bringing it to my attention. Thank you also for informing me that he is pictured as a reserve officer. Do you know which front/s he would have fought in? I cannot find anything from Greek websites. I wonder if he was also involved in the 1912-13 conflicts? There were indeed many of those who came over from Asia Minor and who were not happy. They lived in refugee camps and the population (not sure to what extent) were not very welcoming. A proportion of them became involved in the underground and wrote some very bitter, but very moving rembetika songs. Quite sad, really. Sorry I could not able to find anything about this fatty singer. However there is another Ottoman Greek reserve officer of WW1 period who became famous recently after the republication of his memoir (the original was published in 1964). His name is Sokrat İncesu. He participated Gallipoli campaign (a platoon leader at 13th Infantry Regiment) and later on Palestine campaign but unfortunately he allocated very limited space to experiences in Palestine. He ended the war as POW in Egypt. Interestingly he refused to leave his Turkish officer buddies and get special treatment that most of the Christians got it. He remained in Turkey and buried in Bozcaada (Tenedos). Other non-muslim sohns of Anatolia killed during all wars. They were all medical officers. With regards to Sokrat İncesu would you know if these memoirs will be released in English (or Greek for that matter)? Unfortunately Sokrat's memoir published in Turkish only. Most recent editon is actually part of a series trying to reprint out of print Gallipoli memoirs.